It happened. It happened just last week. Those six words you talk about in your book Teach Like a Pirate under the Ask and Analyze section. Those six words that you intensely and energetically told your audience about in Brookings, SD. Those six words that you stated raises your blood pressure up about 50 notches every time you talk about them. Those six words that sound like a compliment at first…and then, WHAM, they actually discredit our years and years and years of hard work. Last week one early morning, we were out walking and talking about eating right and exercising. One of the walkers mentioned she would not drink a glass of her favorite beverage—chocolate milk. She exercises a lot so she was told chocolate milk would be good for her after a hard workout. She said if she had one glass then she would drink the whole gallon and that gallon would make her gain weight back. We told her we believed she had better self-discipline than that. We told her that we had faith in her. Then it happened…she uttered those 6 words…It’s easy for you. You’re skinny. At first, it sounded like a compliment. Then reality hit and the thought occurred to us… Really? Are you serious? NO, it isn’t easy. It has never been easy. For the past 30 plus years, exercise has been a daily routine—early morning walks, early morning swims, early morning boot camps, late afternoon bike rides, more late afternoon walks. Easy? NO, not easy at all. Years and years of hard work and commitment and determination and perseverance are not easy. Making the decision every morning that ‘exercise is not an option’ has no correlation whatsoever to the term easy. 20,000 Days Old: Get Your “Love-of-Life” On! On Monday, July 21, 2014, Wendy will turn 20,000 days old. In September of 2031, Sonya will turn 20,000 days old. No, Wendy is not her mother (although she is old enough that she could be! 🙂 ) What does 20,000 days old look like? What does 13,725 days old look like? What does living that long mean? What does the future hold? Have we made a difference in life? Relationships: Building relationships, lasting relationships, will bless your life!Focus on your family and your friends and your colleagues. Do everything possible to NOT let anything come between you and those you love! Let go of any “me, me, me” mentalities! Make sure life is about others and not about you! Wisdom: If you were asked to go back and do it all over again, would you? Not that life wasn’t enjoyable “back in the day,” but we certainly like where we have arrived! And we certainly like the fact that we are moving forward. With age comes wisdom! It is one quality that is worth the wait in gold! Contentment: Someone once asked “I just want to stay home and watch a movie. Does that make me old?” That is not being old, people, that is being content in your circumstances! What a great place to be! Volunteer: Volunteering to bless others will bless you ten-fold! It will make your heart swell with appreciation and gratitude. Volunteer at a nursing home. Volunteer at your local Hospice House. Volunteer to drive cancer patients to their chemo appointments. Volunteer at a homeless shelter. Volunteer at an elementary school. Your heart will never be the same if you do! Enrichment: Relationships, wisdom, contentment, and becoming a volunteer all enhance our lives. And isn’t that what all of us want? To have a life that has made a difference? Life experiences can enrich our lives. We just need to live our life to its fullest! Yup, that basically sums it up! Enjoy life, readers!! It goes by much too quickly. How did Kenny Chesney sing it? Don’t Blink! What are some ways you have enriched your life? Oh, The People You’ll Meet If Only You’ll Tweet! Greetings from #NAESP14 in Nashville, Tennessee! Elementary principals from all over the place are here to network, broaden their knowledge in focus areas such as Common Core, Instructional Leadership, School Culture, and Technology, and also to listen to some very dynamic speakers such as Robert Fulghum author of All I Really Need to Know I Learned in Kindergarten; Differentiation Instruction guru, Carol Tomlinson; and Supreme Court Justice Sandra Day O’Connor. Don’t get me wrong, these folks are ALL great speakers! BUT…I was PUMPED UP to meet in person, Todd and Beth Whitaker!! Even though I was presenting today and had to get ready (thank you to my hubby for helping me with this), there was NO WAY I was going to miss it!! And trust me when I say…it was SO worth it! 🙂 I gave both of them a hug like they were longtime friends whom I hadn’t seen in a while. How is this possible since this was my first time ever meeting Todd and Beth? I have had incredible opportunities to meet some pretty amazing people just because I am a Twitter user (Hello…my name is Wendy and I am hooked on Twitter!! Hooked on Twitter works for me! You educators who are my age—you get that 🙂 ). I ‘follow’ these amazing people on Twitter, and they are gracious enough to follow me back. 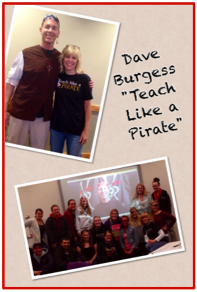 I was thrilled to meet face-to-face and get a hug from the one and only REAL PIRATE @burgessdave, well-known speaker and author of Teach like a PIRATE. When I got my hug from Dave, he looked at the gentleman next to him and said “I can hug her because I met her on Twitter.” 😉 I require Dave’s book in my Social Studies Methods course…a book every new teacher should own! He Skyped with my college students last fall and plans to Skype with them again this fall—how cool is that? My students can’t get enough of Part II of his book. Read it to find out what these future teachers are fired up to put into practice. 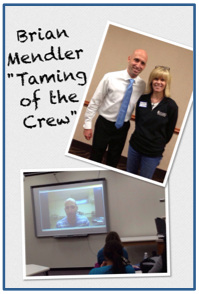 I was honored to meet and have lunch with classroom management guru @BrianMendler which led to a Skype date with my college students during the past two spring semesters—awesomeness! I require his book, Taming of the Crew: Working Successfully with Difficult Students, in my Classroom Management course, and my students especially like Chapter 4. Curious? Read it to find out the great classroom management tips given. 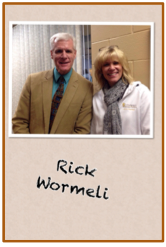 I had the privilege of meeting @RickWormeli at a professional development day for teachers in Pipestone, MN. Rick is the author of Summarization in any Subject: 50 Techniques to Improve Student Learning, which is a book I refer to often in my teaching at SMSU, and a favorite technique is the Bloom’s Taxonomy Cube. Today, I was doubly blessed to meet Todd and Beth Whitaker, authors of Teaching Matters: How to Keep Your Passion and Thrive in Today’s Classroom, one book I rely on for help when preparing for my presentations—especially presentations for principals!! I also require What Great Teachers Do Differently in my Intro to Education course. Because my presentation was shortly after Todd and Beth’s lunch date…I had to ‘flash and dash’ (eh hum…flash as in camera 🙂 ), but, meeting Todd and Beth was a great way for me to get pumped up before my presentation so thank you Todd and Beth for the hugs! 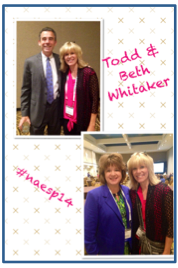 To @NAESP14…so far the conference has been FABULOUS! Keep up the outstanding work! To my special colleague, friend, co-blogger, and our newly elected department chair, Dr. V, I hope you are enjoying your MN lake vacation with your family!!! :-). To all my Twitter friends…I appreciate you SO much and it has been a great adventure so far. I hope our paths cross soon if they haven’t already! 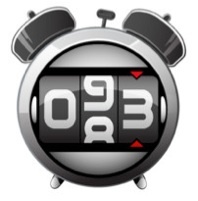 To those of you who are not on Twitter yet…what are you waiting for? Oh, the people you will meet if you are willing to tweet! Although their paths did not cross for long, the stars aligned briefly for Hazel Grace Lancaster and Augustus Waters as they experienced the love of a lifetime in John Green’s 2012 novel, The Fault in Our Stars. You may have heard about it from a previous blog post…or perhaps the hype at the theaters as the movie was just released a couple of weeks ago. (We’re guessing you know about it from our blog and not all the media, but anyway…) The book and film are based on these two young, living and dying teenagers, Hazel Grace and Augustus. It is brilliantly written with hopes and fears and smiles and tears. It is more highly recommended…along with a box of tissues. The book is full of memorable dialog and thoughts. Although difficult to select and focus on specific quotes, there are a number of quotes included here because they provoked the reader to think or feel or simply sigh. Although we would like to say that we know what the author intended for each one of these quotes, we won’t because we don’t. We do know what it means to us though, and that is all that is really needed. We cannot go on to say more in this “book report” as we hope that you read the book and watch the film; we hope that it touches you as well as you see the fault in their stars… and realize all of ours.